These bite size cups can be a perfect party snack or a treat for your kids. 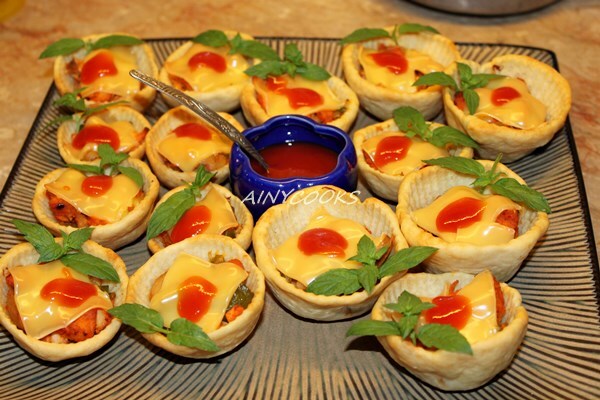 You can bake these cups and freeze them in a box, prepare filling and bake in just few minutes serve your guests with these delicious pizza cups. 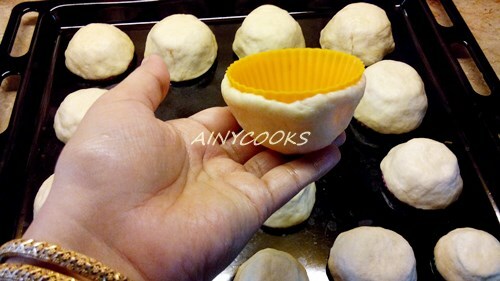 Grease cups or if you don’t have silicon cups then back side of muffin tray . Remove carefully and set aside. 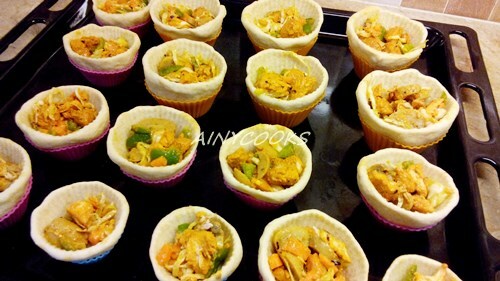 Prepare Chicken tikka filling. In filling I have added chopped olives, mushrooms and cabbage also. For recipe you can open the link: CHICKEN TIKKA PIZZA. 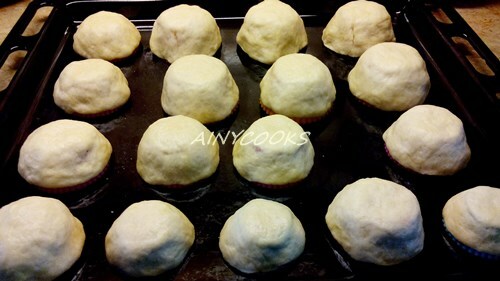 Spread pizza sauce or chili garlic sauce and then filling. Top with cheese. 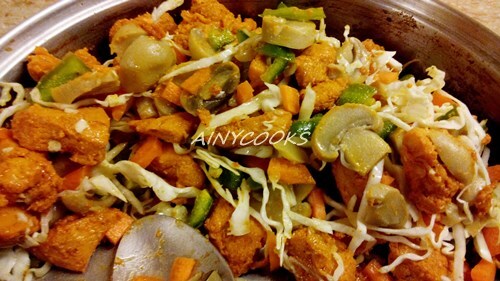 I have used cheese slices but shredded cheese will give a beautiful look 🙂 so use shredded cheese. 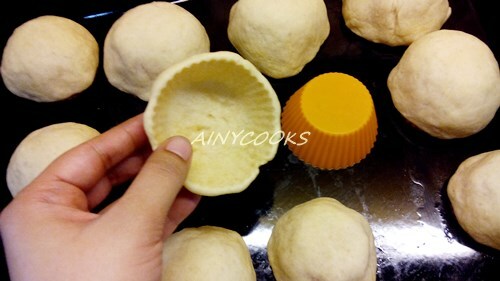 Bake it at 180c till cheese melt.